There used to be a time when certain Dutch people would look down on Dutch bands, and considered any band from abroad to be automatically better and more interesting. Obviously that’s a rather stupid attitude, and especially these days we have nothing to complain about. There are good bands wherever you look. One of them is Eerie Wanda, who recorded this session in Jacco Gardner’s studio. If you’re a loyal viewer of our videos, you might recognize them from the Allah-Las session. On one of the videos Eerie Wanda can be seen behind their American friends, waiting for sound check. Jacco Gardner, one of the most successful Dutch alternative acts of late, played keys with Allah-Las and now he’s welcomed us into his studio in Zwaag where he recorded this session on tape. Eerie Wanda is fronted by songwriter and singer Marina Tadic, with backup from Jasper Verhulst (Moss, Jacco Gardner, Lola Kite) on bass, Bram Vervaet (Lola Kite) on guitar, Nic Niggebrugge (Jacco Gardner) on drums and Marnix Wilmink on percussion. Their debut LP Hum was released on Brooklyn-based label Beyond Beyond Is Beyond Records a couple of weeks ago and they’re currently on an extensive tour in the United States, including South By Southwest. They have plenty live experience from last year when they supported both Allah-Las and Jacco Gardner on multiple European tours. There is something really pleasant about the band’s music. Although it’s very easy to listen to, you still discover new details every time you play Hum. You’d expect their songs to appear on shows like Fargo or Twin Peaks. It’s no surprise they fit in very well between the likes of Allah-Las and Jacco Gardner, without copying them at any point. Sometimes they remind me of Jefferson Airplane (especially on their Sanford Clark cover) and also Camera Obscura comes to mind, as my Scottish friend Ross Clark (Three Blind Wolves) pointed out to me. 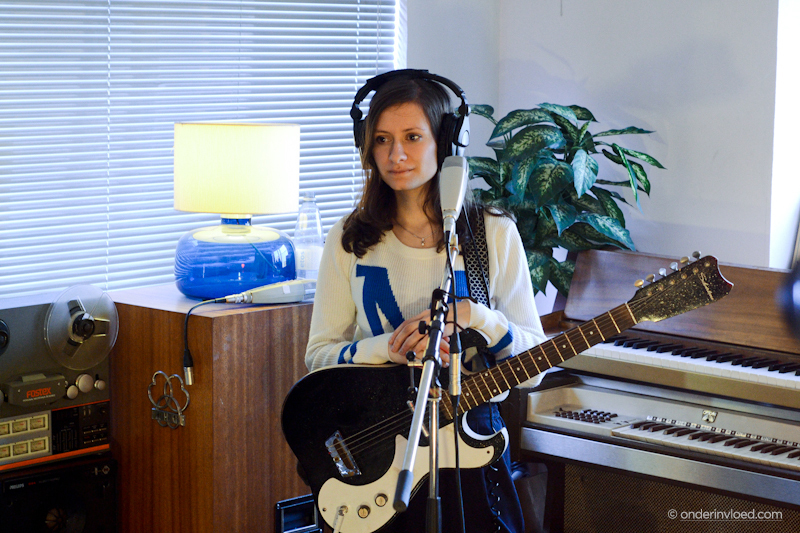 This session was recorded at Jacco Gardner’s Shadow Shoppe studio in Zwaag. Gardner also recorded the audio on his tape recorder and mixed it. The band recorded four covers, one of those might be published at a later time. You’ll no doubt enjoy their covers of Nirvana, Sanford Clark and Young Marble Giants and their own Happy Hard Times.